On August 12, 2015, Cops For Kids With Cancer went to Children’s Hospital and gave a $5,000.00 donation to the family of Madison Boudreau, a 20 month old girl from Leominster, Ma who has brain cancer. In photo left to right Det. Lieut. 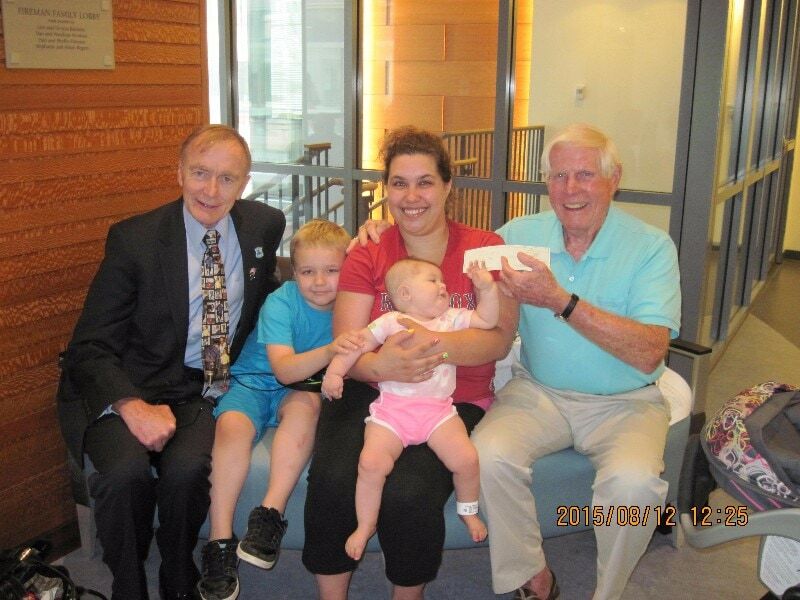 Bill Coulter, MSP, CFKWC Board, brother Zachary, Mom Amanda, Madison, and Bob Faherty.